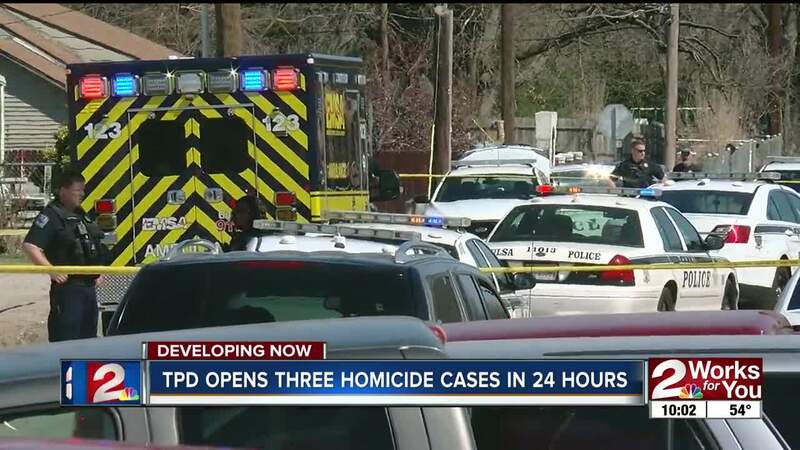 TULSA, Okla. — It’s been a busy 24 hours for the Tulsa Police Department, which added three homicide cases to its list. The total homicide count for 2019 is 11 on March 21. Tulsa’s homicide unit got a tip Wednesday, leading them to find Jessica McBride climbing into a home on North Johnstown, seconds away from lighting a woman’s body on fire, they say. McBride told detectives she got into an argument with the victim, Tracy Russell, a few days ago and choked her to death. "It’s definitely gruesome, I don’t think there’s a better word for it," Watkins said. Thursday didn’t slow down. Around 10 a.m., a call sent officers to the Edenwood Apartments on North Hartford, where they found 18-year-old Xzavion Chatman shot and killed. "With the warmer temperatures, we’re starting to see a spike in violent crime like we normally do this time of year," TPD Cpl. Jeff Little said. "It’s unfortunate, but you’re right, statistics will tell you." While there are no suspects yet in that case, it was a completely different story in the afternoon. Police say two coworkers got into an argument, and one man pulled out his gun, and shot and killed the other man near East Archer and North Yale. Police say the suspect laid the gun on top of a car and waited for officers to arrive. "We should be able to resolve our differences without gun play," Little said. "That’s the worst part about it. You’ve got people producing guns and shooting people and stabbing people." The only case without suspects is this morning's deadly shooting at the Edenwood Apartments. If you know anything that might help, contact police. It also is the only one from 2019 that is considered unsolved.